Turn a hobby into a passion. And passion into a profession. At Indian Institute of Photography.com, we understand both the art and the artist. With the advent of the digital camera, photography has been one of the first of the major arts to embrace technology. At Indian Institute of Photography.com, we address this dual requirement by teaching technology with a focus on creativity. Like they say, creativity cannot be taught, it can only be honed. We believe there is a photographer in all of us. With our meticulously designed study at home courses, with impetus on practical learning, each picture you click will be a window into your soul, and the camera an extension of your body. 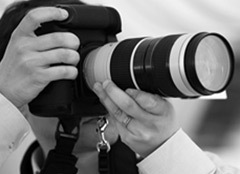 Whether you want to become a professional photographer or simply enhance your skills and take better photographs, IIP's online study for amateur and professional photography courses will help you. For the last 10 years, we have researched and developed content which is relevant for Photography in the Indian context, which will help you to become better photographers. An IIP certificate will be a valuable addition to your resume.